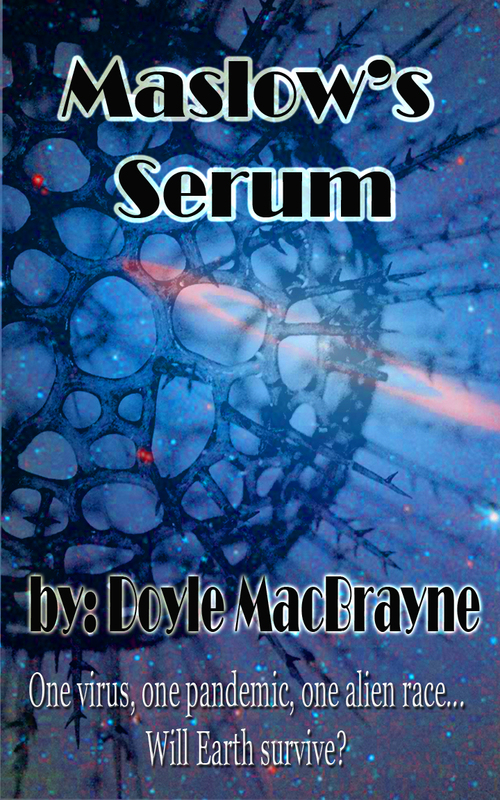 Here’s another sneak peek of Maslow’s Serum. There was a time when the school ground held screaming children, excitedly running through the playground. Now the slides were removed, the swing set stood like a skeleton, no seat for a child to sit. It was too dangerous. Children rarely left home anyway. It was too dangerous. At first, the virus was considered to be a mild threat which only effected the weak and elderly. A culling of the herd for a world population that exceeded the natural resources. That was until a week after Easter and two hundred thousand people died in the city of Chicago alone. Tokyo was hit hard, reportedly losing four hundred thousand; followed by the other major cities. People emigrated to the country but that didn’t slow the virus, it simply spread it further. No one left their homes for weeks. Whether the quarantine was self-imposed or government mandated, the virus now had world-wide attention. It had evolved from a virus that spread through bodily-fluid contact to airborne. Children were kept home from school and in most countries, home-schooling was encouraged. What was once considered a nuisance was now a full-blown pandemic that attacked the strong as well as the weak. In six months fifteen percent of the world’s population was decimated. NATO, once a focused on political strategies now focused on one thing, finding the vaccine. One particular strain proved to be the key, leaving twenty five percent of those infected to recover. Those twenty-five percent, a mere six hundred people to begin with were immediately placed in hospitals, one in Frankfort, Germany, the other in Atlanta, Georgia. Their plasma was harvested and in a week the first successful vaccine was created. Those six hundred were the key to changing the world in more ways than they could even conceive. First the six hundred were treated like saviors, given luxurious accommodations and their families were treated with deep respect. Some of them were separated by their families and so homes were built near the structures. It took time, it took money, but the vaccine was worth more than gold. Rene Maslow was one of the six hundred. At first the ability to help save the world felt like a gift she could share. It became a burden that was too hard to carry after a few months. One third of the world population was gone. People no longer could shop in the grocery store because there was no gasoline for trucks, no coal for trains, no workers in the factories to produce goods. It took no time until the government stepped in to organize the communities in this time of need. They needed leadership, instead they got politics. Money greased palms to get fresh vegetables, purchase gasoline, and more importantly get vaccines. There were so many people and not enough of the vaccine, the ultimate lesson in supply and demand. The government took no time in abusing their new police state to decide which populations received the vaccines first. It was more obvious in places like China or the Middle East where mass graves were built before the town got infected. A silent reminder that they would not survive and no help would be offered. In America, where democracy and freedom had built the nation, scared citizens begged the government to create centers for distribution, assuming that in their country every member would be treated equally under the law. They weren’t. Placebo vaccines were offered while the government stockpiled the vaccine for cases they deemed worthy. The placebos were given with strict instructions to remain CLAKDF for a period of two weeks. Two weeks later, the lie was discovered when small towns all through the midwest were no longer. The National Guard refused to clear the bodies, and the government was forced to create a statement explaining the deaths. A new strain, they said. New volunteers needed to create a stronger vaccine. More promises for benefits for the volunteers and their families.